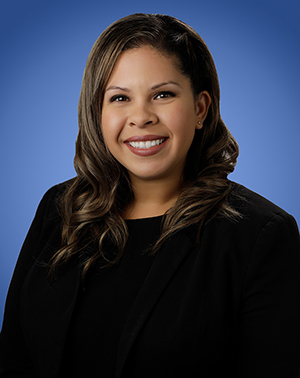 Marisa Montenegro is an Associate in Lozano Smith’s Los Angeles office. Her practice is focused on the special education and student aspects of education law. Ms. Montenegro provides legal guidance to school districts on a variety of special education and general education matters, and assists clients through a range of human resources issues. Ms. Montenegro is experienced in reviewing and responding to special education due process complaints, participating in resolution sessions, mediations, and drafting settlement agreements. She represents school districts through all stages of the Individualized Education Program process. She often drafts prior written notices and responds to compliance complaints. She has also drafted documents for education clients related to the Brown Act, Public Records Act, and Special Education Due Process Hearings. Ms. Montenegro was awarded her Juris Doctor from Whittier Law School with a Certificate in Children’s Rights. She earned a Master of Arts in Special Education with a Mild/Moderate Educational Specialist Credential. Her undergraduate degree was earned from the University of California, Los Angeles, with a Bachelor of Arts in English.